Brand new home in exclusive Sorrel Ridge gated community. This three bedroom, two bath home with 2 car garage is nestled on 10 gorgeous perimeter fenced acres. This beautiful modern farm house features the new open kitchen and living area concept. The Kitchen has granite counters and stainless steel appliances. Spacious living with ten foot ceilings throughout. The master suite features a spa bath with an over-sized master closet. This home has upgraded landscaping and is fully irrigated. Seller will build a block or wood 4 to 6 stall center aisle barn for additional cost. Private bridle and walking trails circle the community. Minutes to HITS and World Equestrian Center. Close to all shopping but in the country. 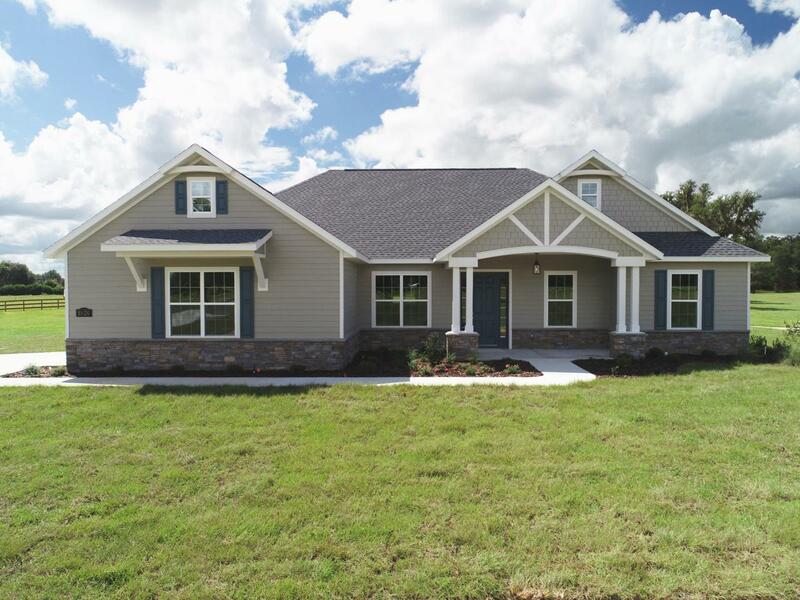 The home is located on lot 3 in Sorrel Ridge.